This initiative strives to bring Europe to the forefront of quantum innovation, collating over 5000 European researchers in academia and industry. 141 project proposals were submitted, and 20 projects were selected across the fields of quantum sciences: communication, computing, simulation, metrology and sensing, and basic science. Laser Quantum’s research has contributed to this immense project, as one of the funded basic science projects will be based upon the same technology used to make Laser Quantum’s ultrafast laser products, covering a wide range of repetition rates from 80 MHz to 10 GHz. The basic science area covers the research and development of theories and components, in order to improve their performance for use in the accompanying quantum project areas. This project, S2QUIP – Scalable Two-Dimensional Quantum Integrated Photonics, will develop scalable cost-effective quantum photonic hybrid microsystems by integrating 2D semiconductor materials in CMOS compatible photonic circuits. The aim of this project is to produce on-chip quantum light sources for quantum simulation, communication, metrology and sensing. One of the key products which could benefit the project is the helixx, an ultrafast laser designed with life science applications in mind. The helixx is a plug-and-play system tuneable between 720 nm and 920 nm, delivering an average output power of >2.3 W in short pulse durations of ~50 fs. It is well suited to applications such as two-photon microscopy, minimising cell damage and emission dead times of typical fluorophores. This is a result of its 250 MHz repetition rate, which significantly lessens photobleaching and phototoxicity to provide optimal imaging results. Across these 20 projects, the Quantum Flagship is set to create the next generation of disruptive technologies that will impact society worldwide and secure Europe’s place as a technological leader in the fields of research and innovation. About Laser Quantum: Laser Quantum is headquartered in Stockport, Cheshire, and creates robust, high-quality lasers using innovative optical technologies. It provides researchers and companies worldwide with the lasers they need to advance scientific knowledge and understanding, and to improve the capability and reliability of their products. 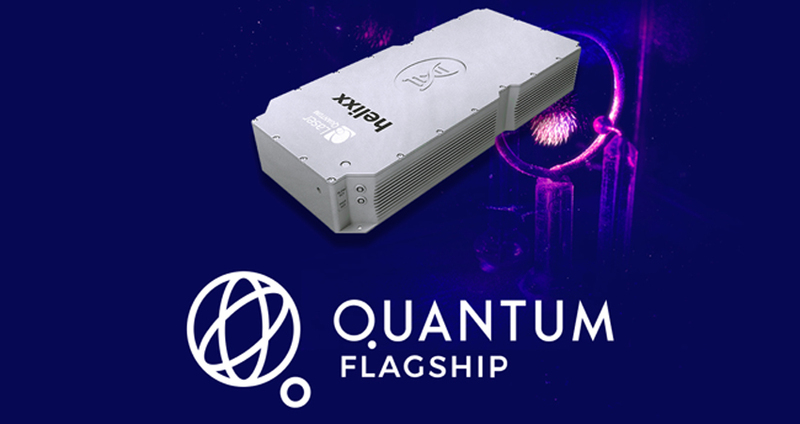 With industry-leading lifetimes and specifications, Laser Quantum lasers are suited to numerous research and industrial applications. Since 2016, Laser Quantum has been part of Novanta: a trusted technology partner to OEMs in the medical and advanced industrial technology markets, with deep proprietary expertise in photonics, vision and precision motion technologies.